Not all reactors are created equal. 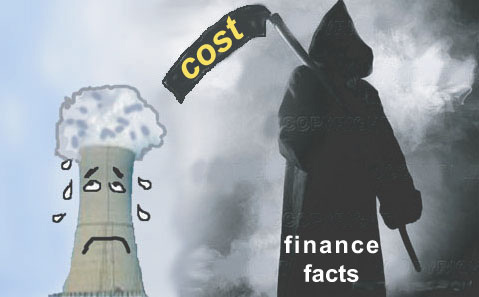 In the global fight against nuclear power, there are some especially dangerous reactor types which clean energy activists take unusual pleasure in shutting down. I remember the day (in June of 1997) i heard that the French SuperFenix breeder reactor was going to be shut down permanently. I whooped so loud the folks in the WISE office all looked at me funny. It looks like it will be time for another loud noise soon. Japan’s Monju breeder reactor is sitting on top of an active fault line and this plus the countries new more strict nuclear regulator plus the unusually poor management of the plant, might just be enough to shut it down. Monju has had a troubled life. At a cost of US$12 billion, this advanced technology went critical for the first time in April 1994. However in the following 19 years, the operators have only gotten it to run for a single hour, due to two major accidents. In December of 1995 a leak in the sodium coolant pipes caused a leak of liquid sodium (which ignites in air and explodes in water) caused a fire of such great intensity it deformed hardened steel structures at the reactor. The operator then tried to cover up the accident, which was discovered and created public outrage. In 2010 the reactors was finally repaired. Three months later a 3 ton crane was dropped into the reactor vessel, shutting the plant down again. It remains closed today. 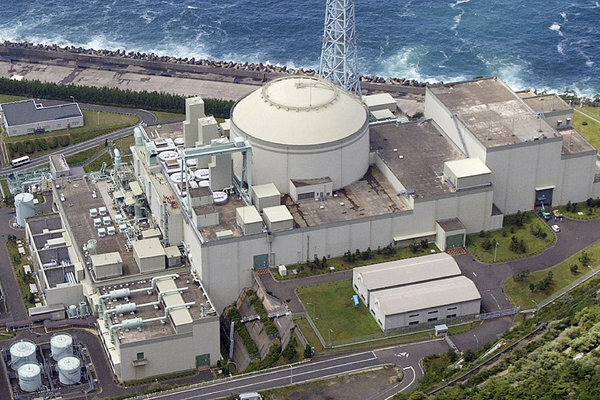 The confirmation that there is an active fault line under the reactor combined with the operators skipping over inspection of over 10,000 components, including critical safety ones has spurned the new Japanese nuclear regulator into action. This inspection scandal forced the head of the Japanese Atomic Energy Agency (which operates Monju) to resign. The reason breeders are especially nasty is that they perpetuate the especially toxic myth that there are accessible technologies which will take radioactive waste from existing reactors, burn this waste and create power. This has long been the holy grail for pro-nuclear folks. This makes great sense for the only problem with nuclear power besides the terrible economics, declining public acceptance world wide, terrible safety danger, captured and corrupt nuclear regulators, weapons proliferation risks, that real renewables are cheaper, that it is vulnerable to climate change induced weather problems, destablizes grids because of its large size, requires tremendous idle back up redundancy is the waste problem. So if you can solve the rad waste problem for power reactors, you can pretend that there are no other problems, and some people will believe you. If Monju closes, then the US, UK, Germany, France and Japan will all have scraped their breeder program. Leaving the only operating production breeders in unmonitored Russia military facilities.